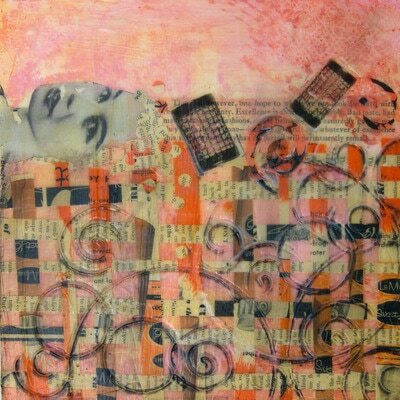 My newest work uses the ideas developed working on the Nostalgic Beauty Series and expanding on those ideas. 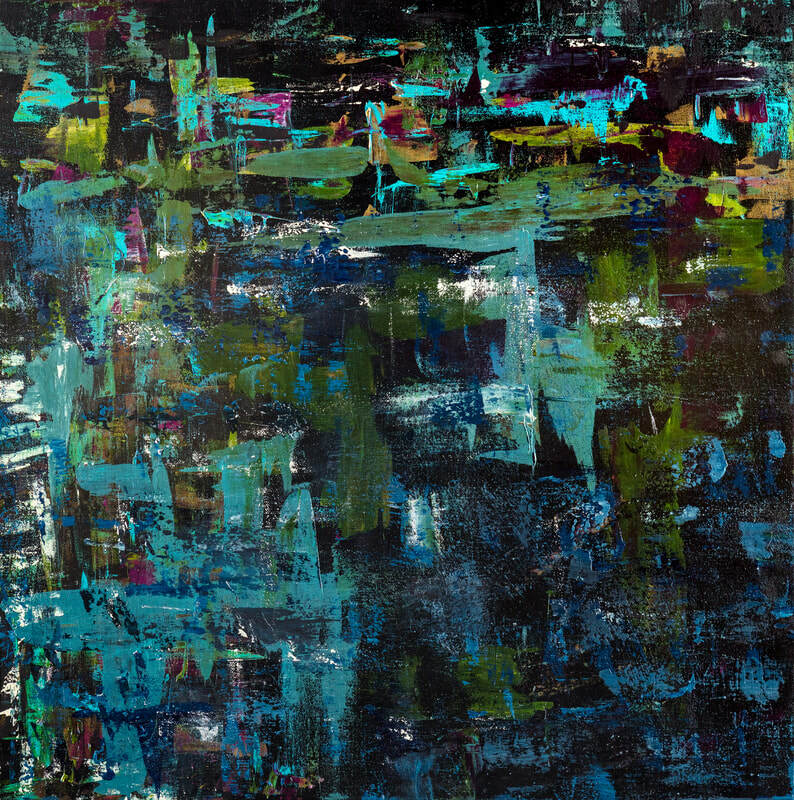 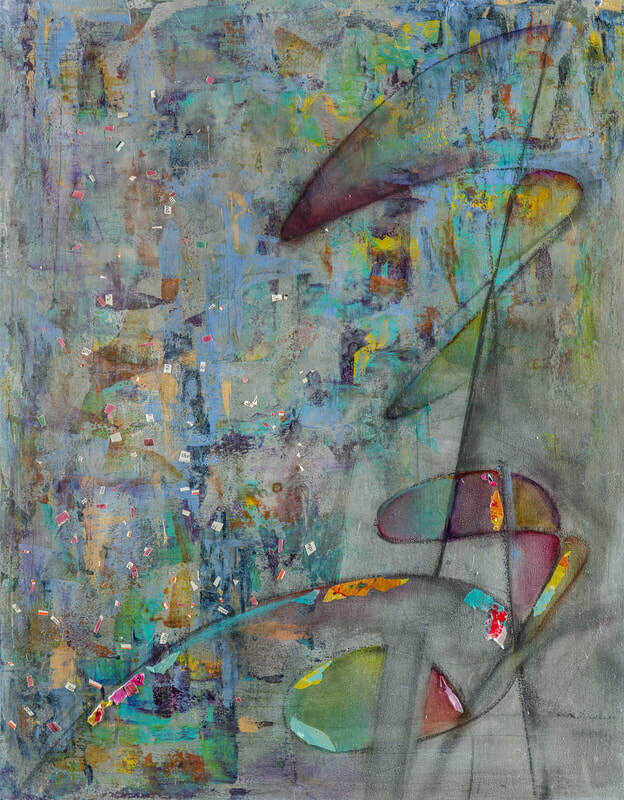 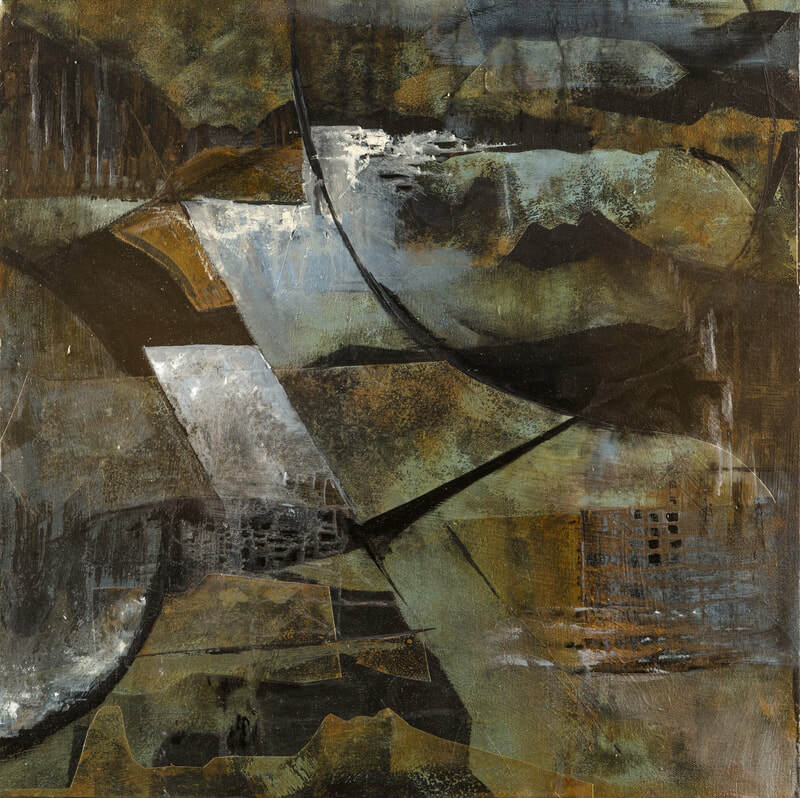 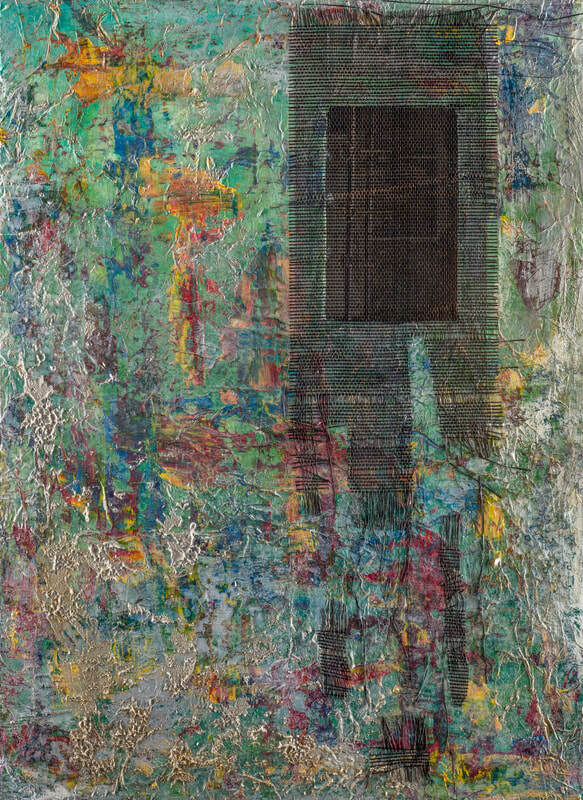 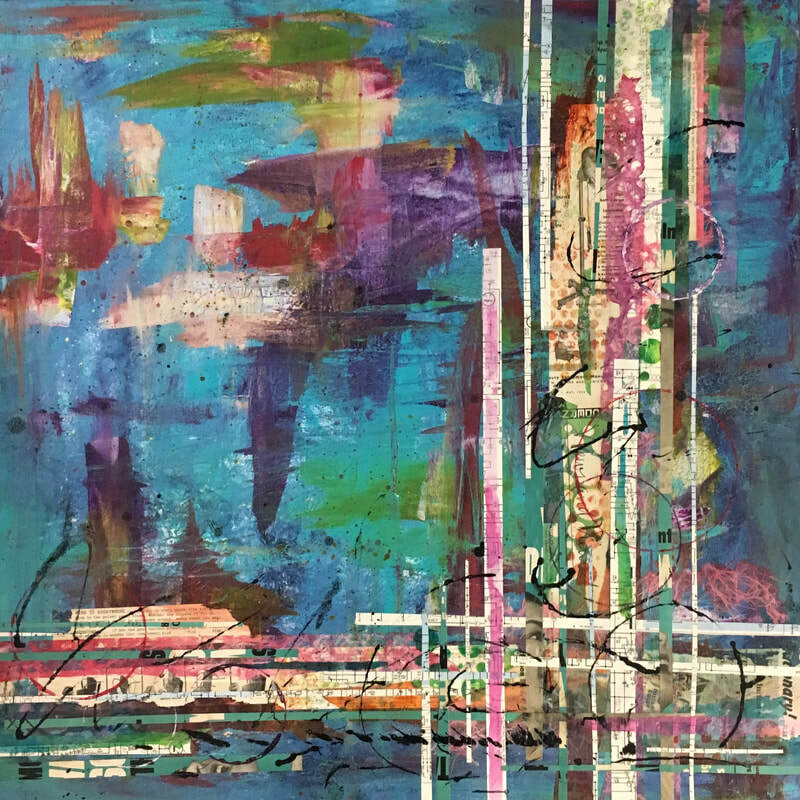 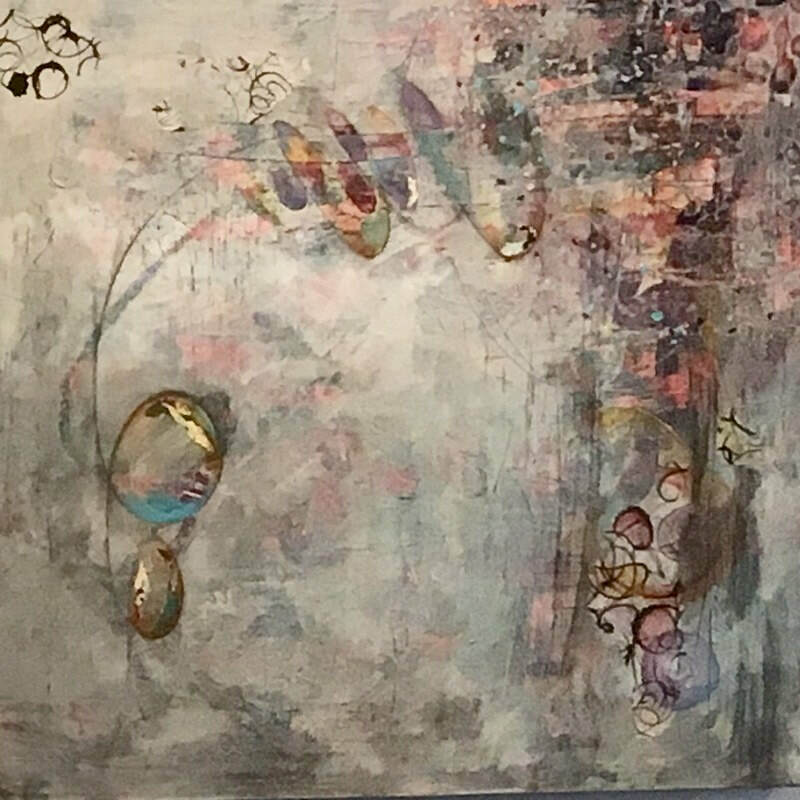 I have also been exploring abstraction with enthusiasm using both layering techniques and then subtractive techniques to reveal the layers that have come before. 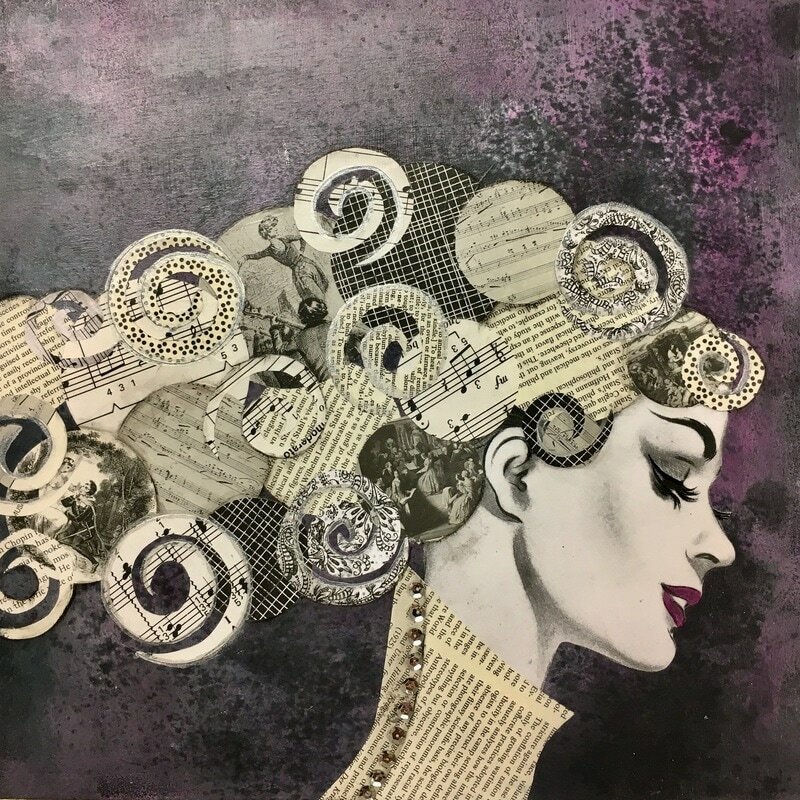 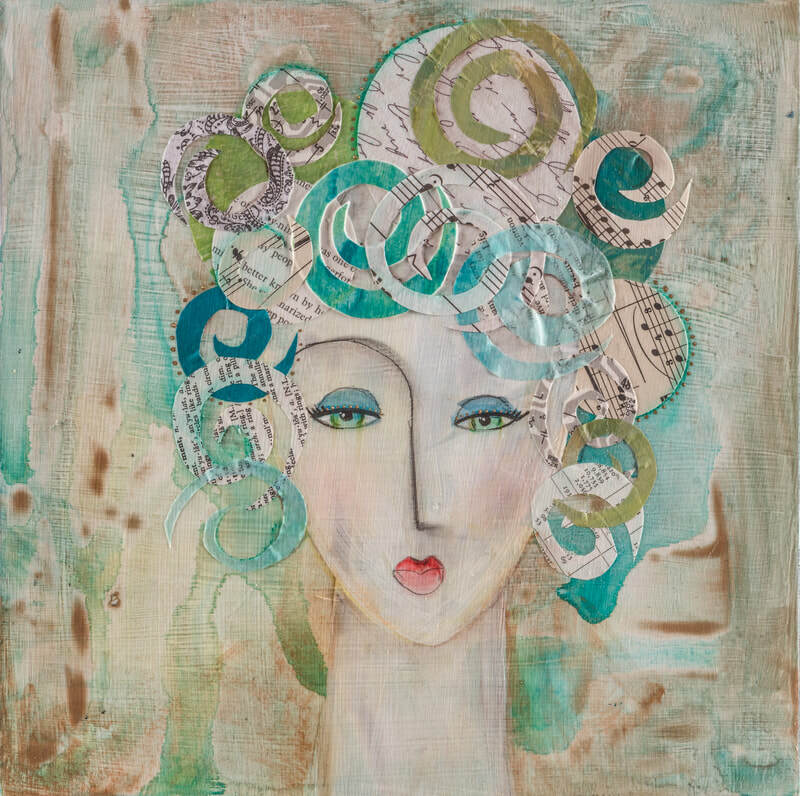 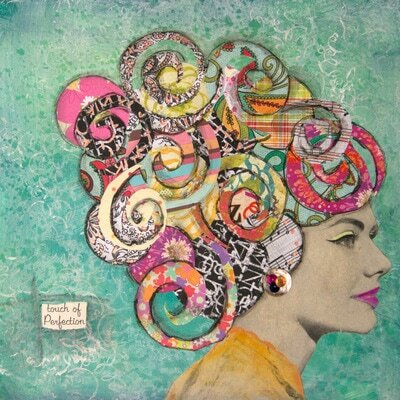 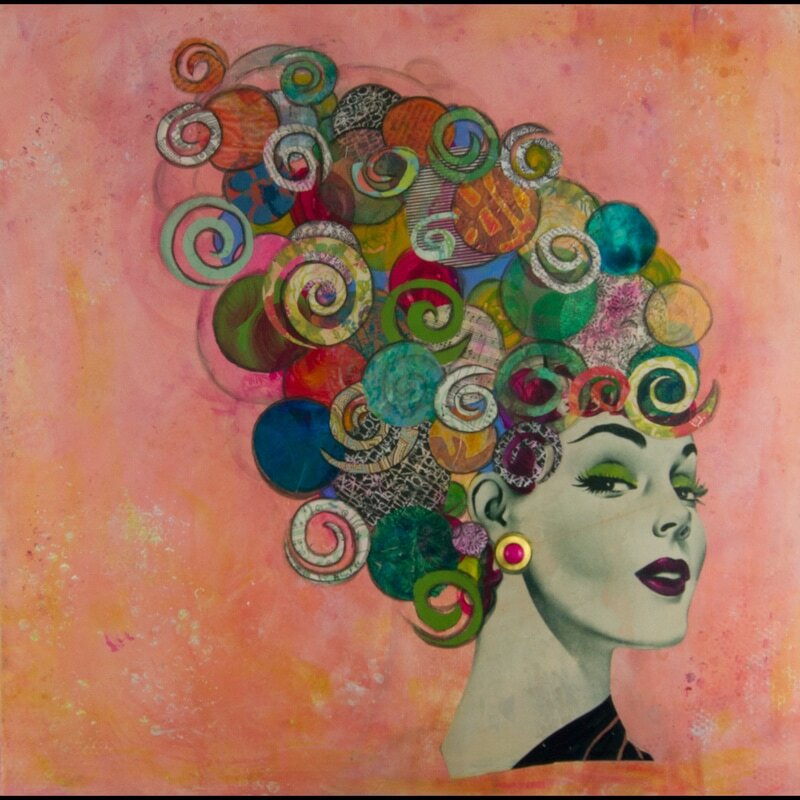 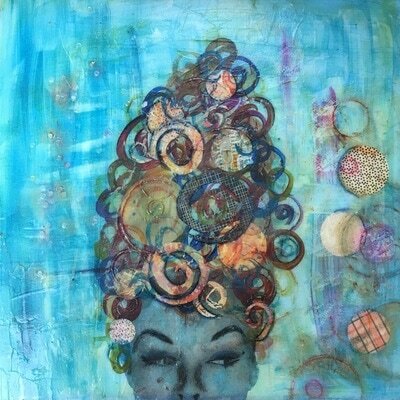 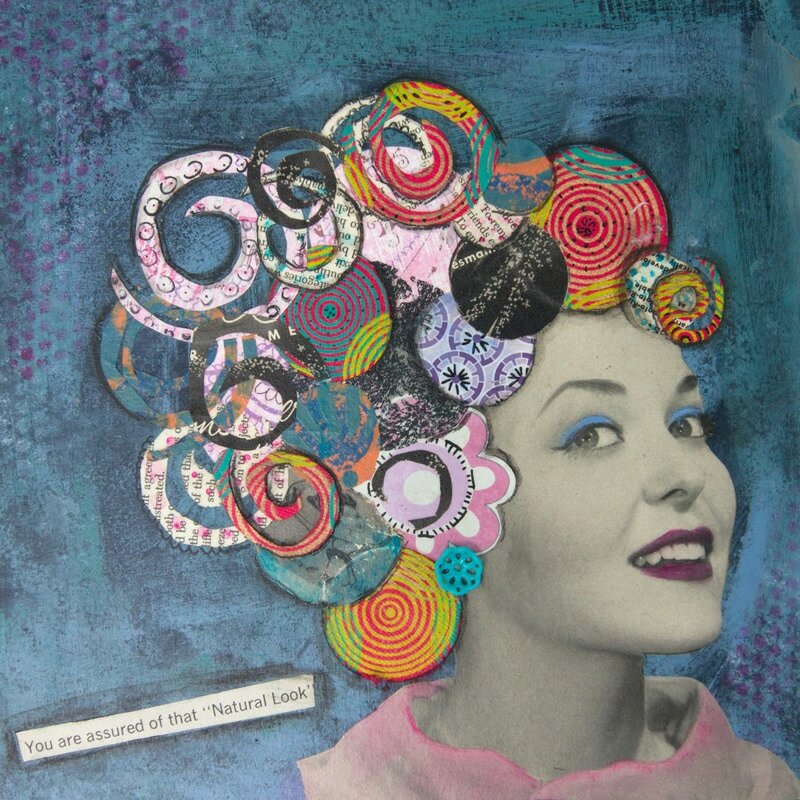 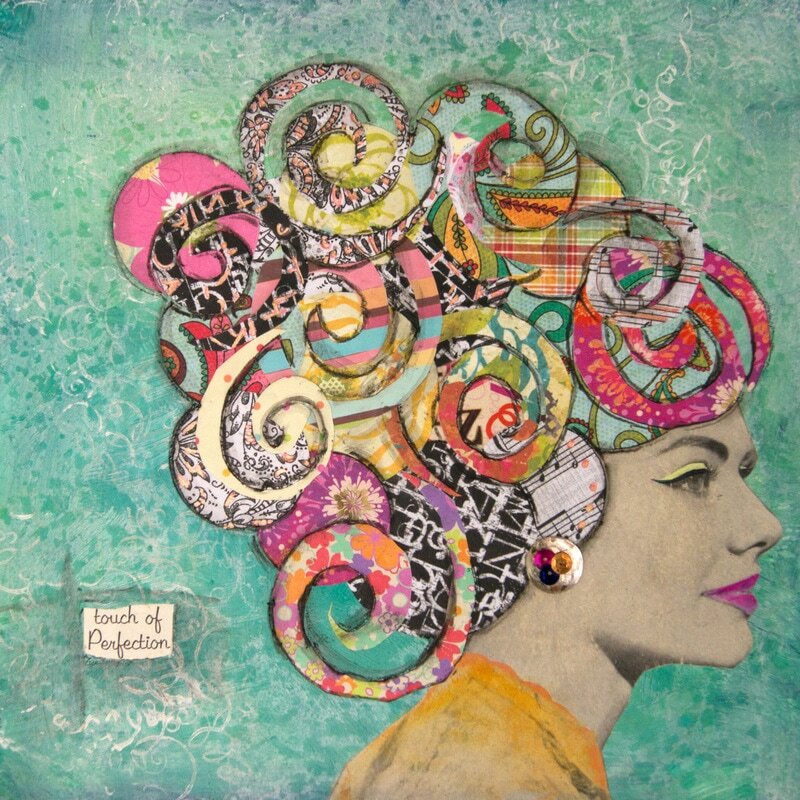 The inspiration for this new work comes from my large collection of vintage hair styling magazines. Being in the Beauty industry for almost 20 years you see the absurdity and the advertising of "perfect" to women as a never ending song that is always playing in the background. 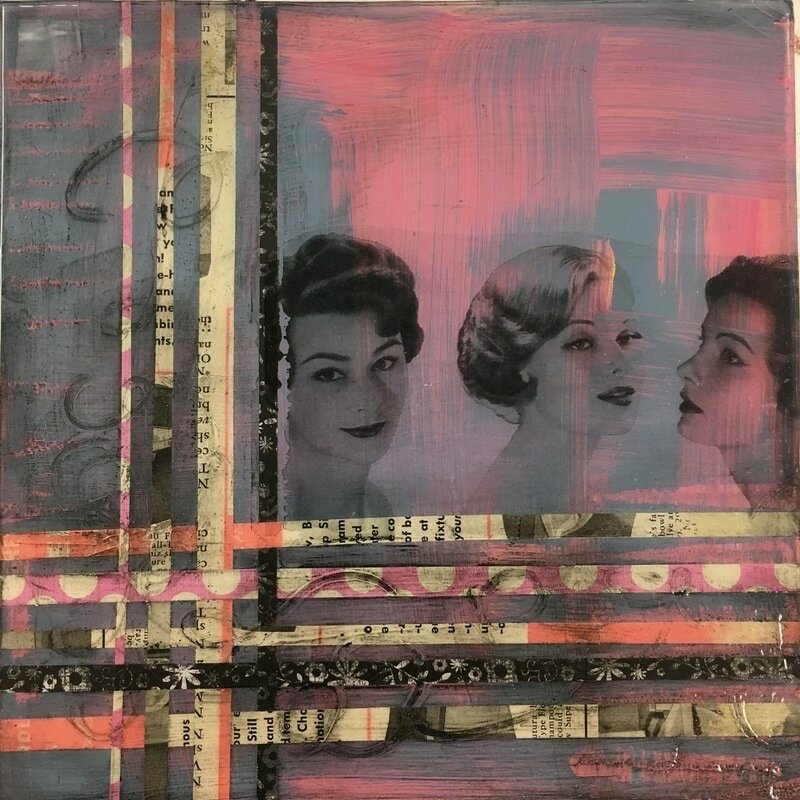 Examining my relationship to this beauty propaganda and my part in it thru a whimsical approach and the bright colors of youth is at the heart of this series. 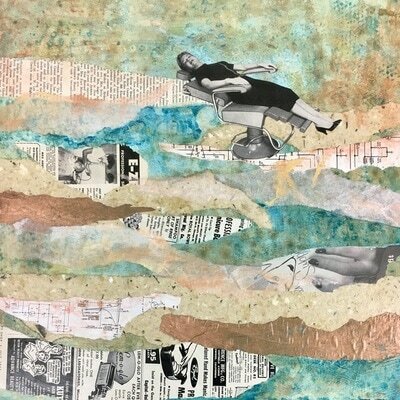 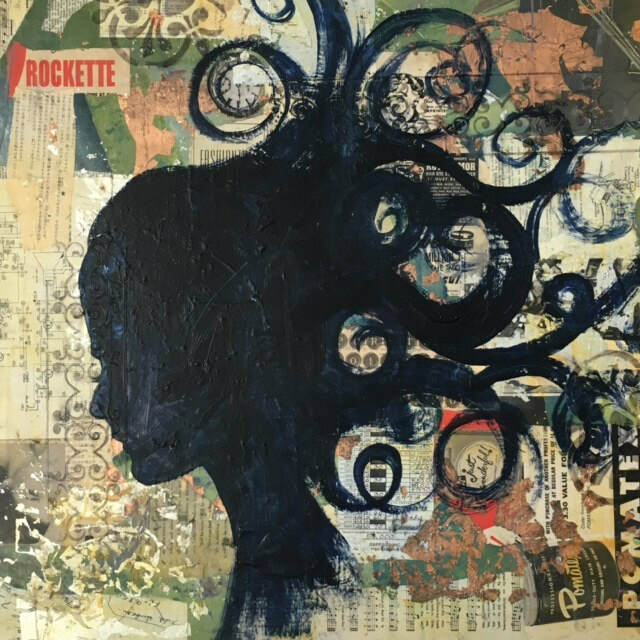 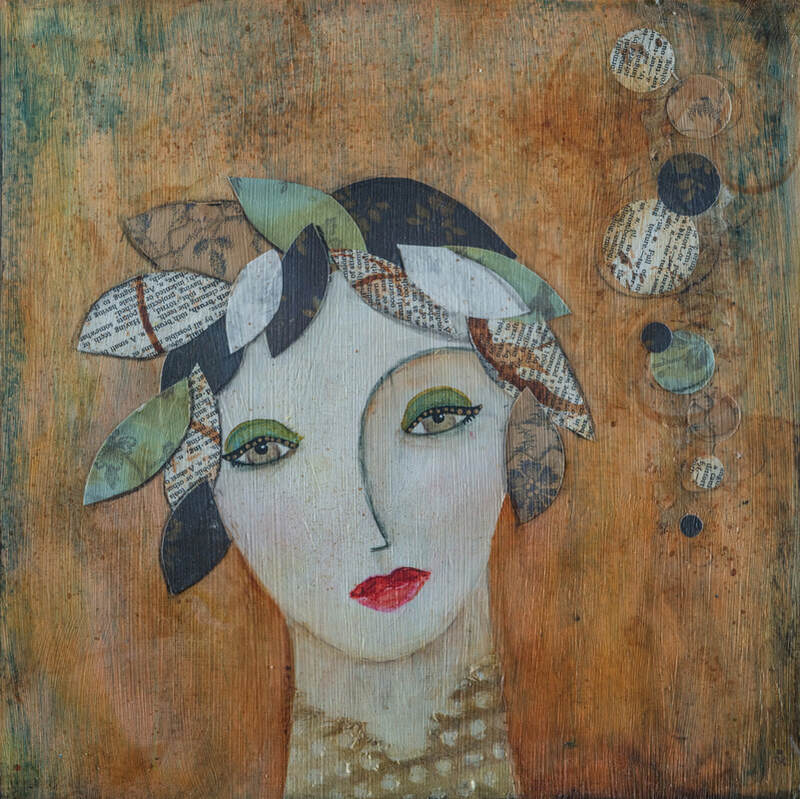 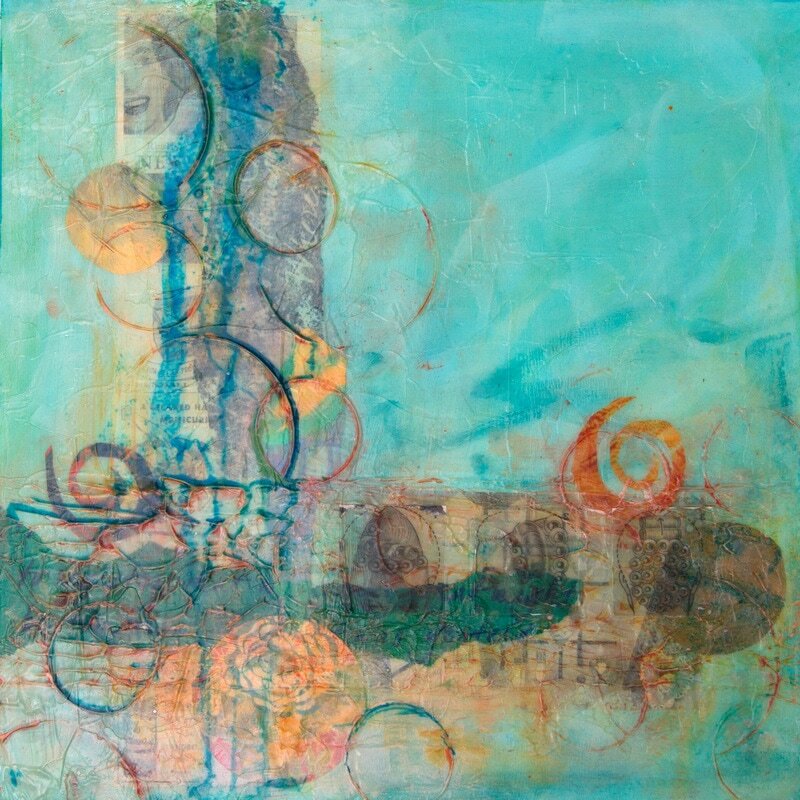 Work is created with acrylic paint, beauty imagery, and found and created papers. 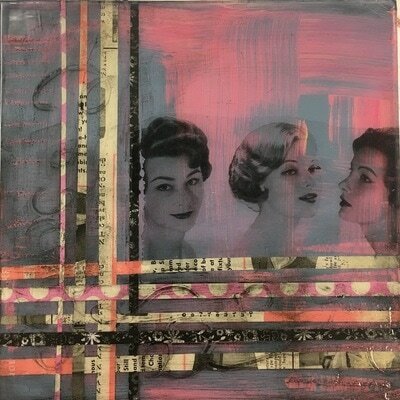 Slides show the working up of layers to a finished piece.